The East Asia Strategic Review is the publication form the East Asia Centre, Institute for Defence Studies and Analyses (IDSA), New Delhi. The volume entitled, China's Rising Strategic Ambitions in Asia is intended to bring out Indian perspectives on the growing influence of China in Asia. 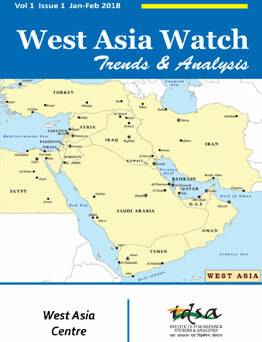 These perspectives are particularly seen in the light of expanding Chinese political and economic engagement in Asia. Vol. 12, No. 3, July-September 2018 | This issue features an analysis of how China uses sharp power to promote national interests; Kautilya’s Arthashastra, strategic culture and grand strategic preferences; and India’s potential for defence diplomacy with Southeast Asia. Also included is a commentary on the emerging India-Indonesia comprehensive strategic partnership and five book reviews. In this issue, Animesh Roul discusses the debate surrounding the potency of nerve agents in detail. The magazine also looks at issues concerning Yersinia pestis. Raymond Zilinskas discusses the possibility of various strains being developed by terrorist groups. John Hart deliberates on the action plan for the 4th Review Conference of the CWC. 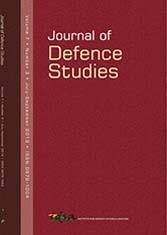 IDSA publishes four journals - Strategic Analysis, Journal of Defence Studies, CBW Magazine and Africa Trends. 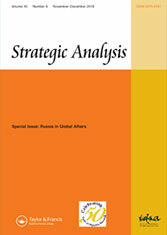 Strategic Analysis has been in print since 1977 and is one of the most established Indian journals in the field of strategic studies. 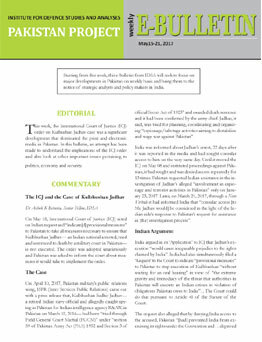 It is now being complemented by the Journal of Defence Studies, which began its innings in the Summer of 2008. The third, more specialized, journal focusing on issues relating to chemical and biological weapons is the CBW Magazine, launched in November 2007. IDSA publishes briefs and papers on significant national and international events both to provide background as well as analysis and recommendations. These include Policy Briefs, Issue Briefs and Special Features on the website, as well as Occasional Papers.